The Carpenter's Ministry Toolbox: ADVENT: Sweet Bags of Blessings! Share the blessings of treats and good wishes with your church family. Ever hear of being jingled or elfed? It's a nice little tradition of secretly dropping off small bags of Christmas treats from one neighbor to the next in a round robin fashion until they've all received a nice neighborly treat. Remove the idea of it being about elves or jingle bells and make it more of a passing on of gifts as the Magi did. 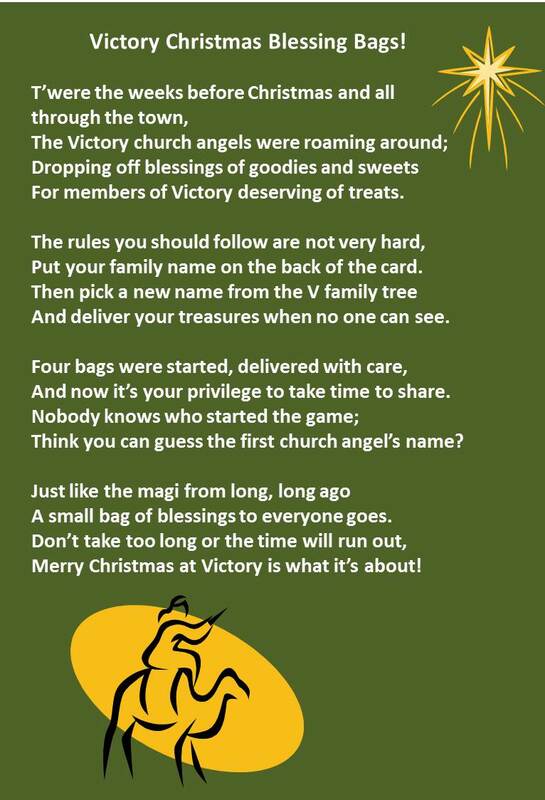 I wrote a cute poem about what it's about and decided to call them Bags of Blessings. 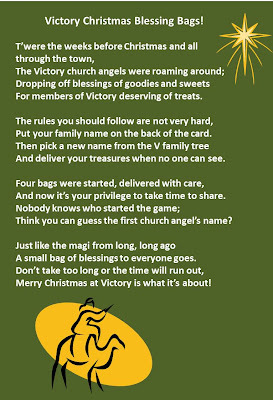 Break the congregation up into smaller groups so everybody has the chance to receive a nice surprise on their doorstep. I needed four groups. Fill the bags with a nice assortment of holiday treats, a few fancy purchased chocolates and depending on the family, maybe a few simple toys or devotion books or whatever you feel will be a blessing to them. 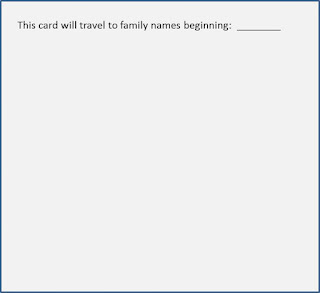 Add a card with the poem to the bag and make sure you put the grouping of family names on the back so people aren't duplicated or missed. 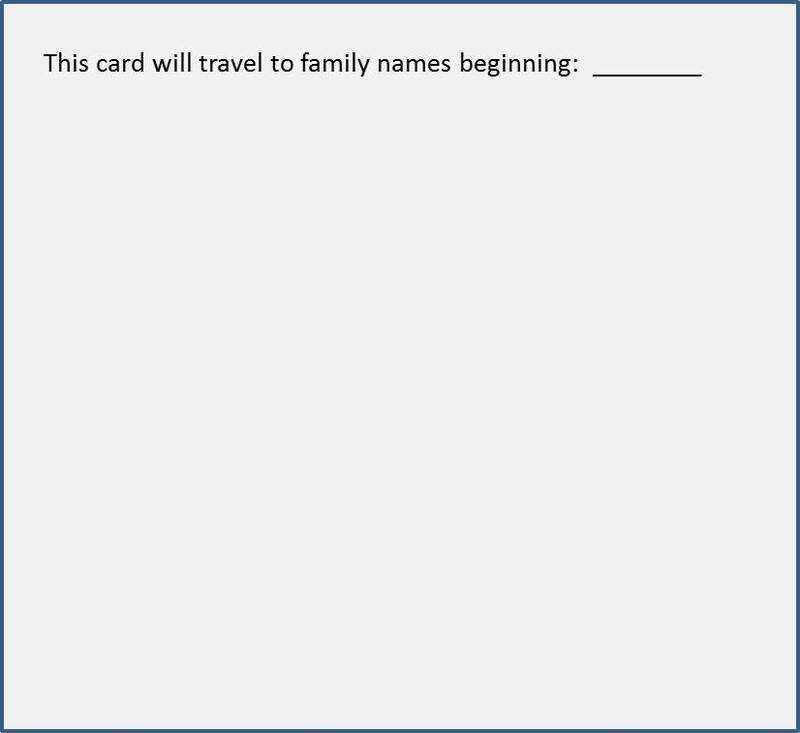 Also be sure to have each family who's received a gift put their name on the back of the card so people know who's already been visited. Deliver the bags in secret to start the chain of congregational smiles! Nobody will know I started this unless they read my blog so this may very well give the secret away, but then I'll know somebody's reading!